After two days packed with live demos, the third day of FinovateEurope focused less on products and more on discussing the direction of the industry. Below, we share the highlights from the afternoon sessions. The afternoon sessions started with a special address by Lamine Cheloufi, the product director of person-to-person (P2P) payment app Wavy. The app enables users to share payments easily across 31 European countries. It is free of charge and boasts an easy sign-up process. Friends and family don’t need to have the app to repay someone with Wavy, payment requests are shared via a link that is easily shared on any social media channel. Cheloufi also discussed how the general trend amongst European banks is that they are tied to legacy systems thus making it difficult for innovation to take place. The first panel that we attended featured, Philipp Buschman (CEO and CO-Founder of Aazzur), Anne Boden (CEO of Starling Bank), Devie Mohan (CEO and Co-Founder of Burnmark) as well as Nick Ogden (Founder & Chairman of ClearBank). One of the key points discussed was the fact that accessibility and market transparency were two things that were missing in legacy banks. As it stands, many incumbents simply push products towards their customers and expect customers to find themselves in need of the product. Boden emphasised that this needed to change. Customers should be able to share plans or future movements with their financial services providers and, in turn, their providers should be able to offer a relevant product that will assist them at that moment. Essentially, contextual banking should be a normality and this is where many incumbents are falling short. The important role of challengers was another point raised. It was said that they cater to the customer segments that incumbent providers are not yet reaching or targeting. Some examples were given of frequent travellers who spend money in different countries, customers who wish to transfer money abroad on a very regular basis and freelancers who need credit. Challengers are filling a gap by creating products that address these issues. The second panel focused specifically on Open Banking. The panel featured Louise Beaumont (Co-chair, the Open Bank Working Group at techUK), Sofia Ericsson Holm (Head of Open Banking Partners at Nordea), Daniel Kjellén (CEO and Co-Founder of Tink), Rob Moffat (Partner at Balderton Capital) and last but not least, Remco Neuteboom (Group Chief Digital Offer Financial Services at Atos). The panel was meant to be a debate but there were a lot of agreements on the question at hand. Kjellén highlighted that Open Banking would be a great opportunity for banks to be specific in their catering of products and therefore actively disrupt the market. However, the true beneficiaries of the revolution would be, naturally and most importantly: customers. Open APIs will enable customers to access multiple services, manage accessibility and essentially have control over who receives their data. SMEs will also see a lot of value as they will be able to partner and gain access to providers. However, the panellists agreed that banks are not making the most of the opportunity that PSD2 presents when it comes to forming partnerships to benefit their customers. Neuteboom and Beaumont both pointed out that providers who allow customers to manage how they share their personal data are the ones who will thrive in this new banking chapter. Those who do not take advantage of building good models around the new Open Banking regulations will see their customer numbers fall. James Sandberg, Founder of Customer Devoted, started the presentation by focusing on how regulation can drive innovation. It can force providers to seek new ways to improve their customer experience. The introduction of GDPR means that compliance and marketing teams must work closely together, as marketing creates tailored campaigns and strategies. In his presentation, Sandberg described the perfect service as an omnichannel strategy with a single customer view and cross-channel integration. He suggested building an algorithm where specific data signals could give providers insight and context around each individual customer. 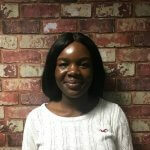 The omnichannel strategy was illustrated with an example where the change in the behaviour of a customer could be used to draw conclusions about certain life events. Increased expenditure when in a supermarket, checking online banking at early hours of the morning and purchasing products from baby shops – the conclusion could be made that this customer has become a parent. With such insight, providers would be able to anticipate the customer’s need as they identify patterns that accompany life events and therefore promote relevant products to the customer in question. This will all work to provide the customer with a relevant and meaningful experience. 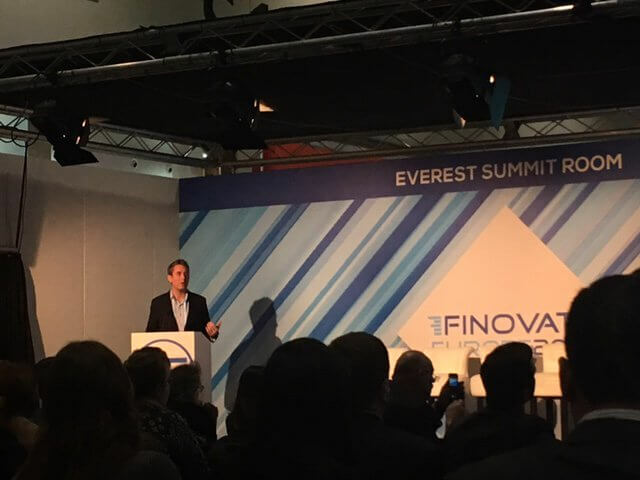 As proud media partners with Finovate, we have covered the highlights from FinovateEurope 2018, read the key takeaways from the other days here. If you would like to follow latest customer experience trends in digital banking, investments and payments, subscribe to our newsletter or get in contact with us to find out more about our competitor analysis services.